Want to indulge your child but don’t want to feed them processed and artificially flavoured snacks? Here are three healthy and delicious DIY snacks that your kids can eat as part of a balanced meal. 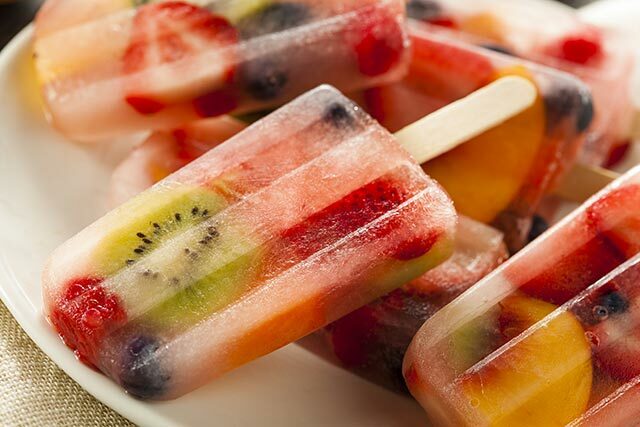 Fruit popsicles are versatile snacks and can be made with a variety of fruits to suit your child’s preferences. This recipe calls for freshly squeezed juice and should not be replaced with fruit concentrates or syrups. Instructions: Arrange cut fruit in each mold and make sure the pieces fit snugly. Pour juice into each mold to just cover fruit. Insert ice cream sticks and freeze until solid (about six hours or more, up to two weeks). Forget about sugar-and-fat-laden popcorn sold at the cinema. Here’s how you can easily whip up nutritious popcorn at home. 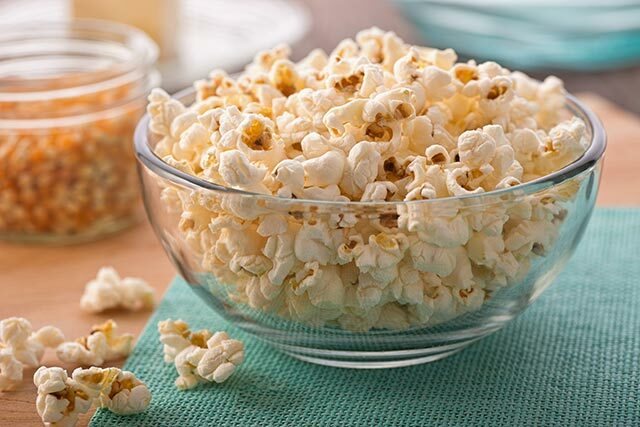 Compared with other common snacks, popcorn is low in calories and high in fibre when air-popped and eaten plain. Did you know that the popcorn kernels are wholegrain? When eaten plain (with a small amount of healthier oil), popcorn can be eaten as part of a healthy diet. Instructions: Pour oil and a few popcorn kernels into your wok or pot, cover, and place over medium heat until they begin to pop. Then quickly open the lid just enough to pour in the remaining kernels. Cover immediately and reduce heat to medium. Place a towel from one handle of the wok or pot to the other, firmly holding the lid in place, and shake until the kernels stop popping. Once done, pour popcorn into serving bowl and sprinkle with salt to taste. Store in an airtight container for up to a week. Tip: Instead of salt, you can use pure maple syrup to satisfy a sweet tooth. This natural peanut butter recipe only uses fresh, unprocessed ingredients and zero preservatives and certainly packs a nutritional punch! Peanut butter contains protein as well as potassium among other essential nutrients that are needed to build strong bones and muscles. This natural peanut butter will go well with a slice of wholemeal bread/muffin, vegetable sticks (as a dip) or even on its own. Instructions: Heat oven to 180 degrees Celsius and toast peanuts* for 10 minutes on baking sheet until lightly golden and glossy with oil. Immediately transfer peanuts to food processor/blender and pulse until just chopped (for chunky peanut butter, remove ½ cup of chopped nuts and set aside). Process the nuts for one minute, then scrape down the sides of the processor. Process for another minute and scrape again. Process for one more minute and your butter should look glossy and soft, like very thick peanut butter. Now add the salt, oil, and maple syrup. Process again for 1-2 minutes until butter becomes smooth. If you reserved some nuts for chunky peanut butter, add them now and pulse to just combine. Taste and add more flavour if required. Transfer butter to jar and refrigerate. Keeps for a month or so in the fridge. Tip: *Roasting nuts gives the butter a deeper flavour and helps loosen the oils and makes it easier to blend into butter. Raw peanuts work just as well, and so do other types of nuts like almonds or pistachios. Time for Bed, Chop Chop! Christensen, E. (2014, Jan 15). How To Make Homemade Peanut Butter [Website]. Healthy Kids Association. (n.d.) Grains, breads & cereals [Website]. Organic Facts. (n.d.). Health Benefits Of Popcorn [Website]. Organic Facts. (n.d.). Health Benefits Of Coconut Oil [Website]. Herrington, D. (n.d.). 8 Health Benefits of Peanut Butter [Website]. Nightingale, A. (2012, Jul 11). Fun Food For Kids: 10 Cool and Healthy Snacks! [Website]. Young, G. (2011, Jan 18). Perfect Popcorn [Website]. <strong>Instructions&#58;</strong> Arrange cut fruit in each mold and make sure the pieces fit snugly. Pour juice into each mold to just cover fruit. Insert ice cream sticks and freeze until solid (about six hours or more, up to two weeks). <strong>Tip&#58;</strong> Instead of salt, you can use pure maple syrup to satisfy a sweet tooth. <strong>Tip&#58;</strong> <sup>*</sup>Roasting nuts gives the butter a deeper flavour and helps loosen the oils and makes it easier to blend into butter. Raw peanuts work just as well, and so do other types of nuts like almonds or pistachios. <h2>References</h2><ol id="footnotes" style="margin&#58;0px;"><li>Christensen, E. (2014, Jan 15). How To Make Homemade Peanut Butter [Website]. </li><li>Healthy Kids Association. (n.d.) Grains, breads &amp; cereals [Website]. </li><li>Organic Facts. (n.d.). Health Benefits Of Popcorn [Website]. </li><li>Organic Facts. (n.d.). Health Benefits Of Coconut Oil [Website]. </li><li>Herrington, D. (n.d.). 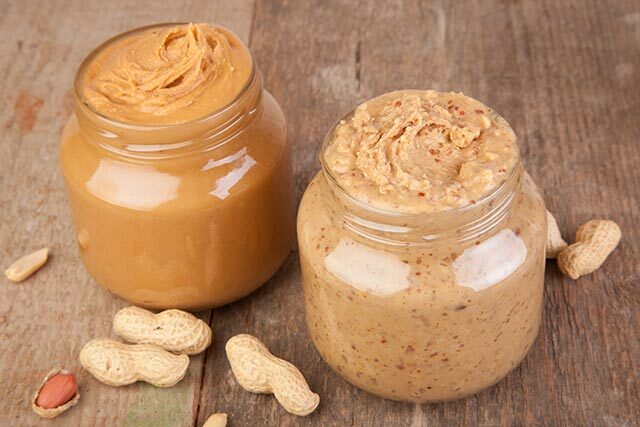 8 Health Benefits of Peanut Butter [Website]. </li><li>Nightingale, A. (2012, Jul 11). Fun Food For Kids&#58; 10 Cool and Healthy Snacks! [Website]. </li><li>Young, G. (2011, Jan 18). Perfect Popcorn [Website]. <div class="ExternalClassD7BD934B918F41779717AB7499EF00D8">Established in 2001, the Health Promotion Board (HPB) has a vision to build a nation of healthy people.